ANOTHER RAFTING WEEKEND, THAT'S ME DOING THE THINKER POSE IN THE BACKGROUND. we fell in love with Plain from the very start. the rural setting, the snowey winters and the warm summers not to mention the colorfull falls. the river is a 3/min walk with a beach and park for the kids! over 200 dvd's & videos, mostly dvd's and lots of kid movies! Very peaceful, great hunting and fishing decor. Enjoyed our stay! Thank you Steve. Very comfortable and pleasant surroundings including cabin decor. Clean with a good supply of firewood and kindling. Thank you! Loved every minute we were here. Great amenities and location. 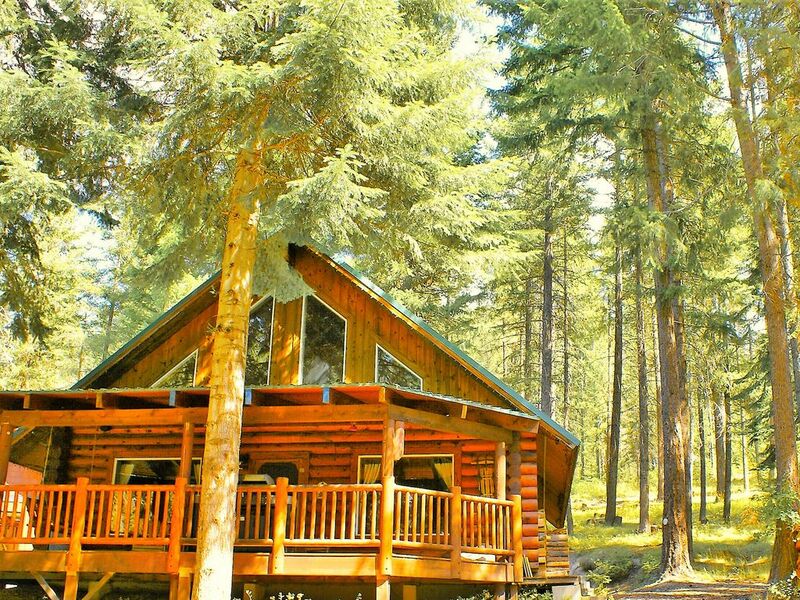 Big game cabin was the perfect place to relax and enjoy the outdoors while being a quick drive to the liveliness of Leavenworth. The cabin was very clean and well equipped for our needs. We also appreciated Steve's quick response to our inquiries. We plan to be back! Perfect location near Wenatchee state park. Short drive to leavenworth, not far from Stevens pass, and tons of places to explore in the area. The house is equipped with everything you need, super clean, plenty of fire wood, tons of pots and pans, washer and dryer, and plenty of room. When I plan my next adventure in the leavenworth area, this will be my go to place to stay. Had a great time. Steve, the owner, is super responsive and helpful. The cabin fit the needs of our family perfect. Was pleasantly surprised to find a pack and play for my youngest. Lots of movies and games and loved relaxing at night in the hot tub. Cabin was clean and well maintained. Thanks steve! We will be back again! This three bedroom log home is absolutely gorgeous. Nestled away amongst the trees it's easy to see one drifting away in complete relaxation. Close to the Wenatchee River, this fantastic home features a large deck with swing and Adirondack chairs.